Finally! The silver lining in an otherwise tepid and ineffective climate agreement out of Paris this month: military carbon emissions will no longer be exempt from official reckonings. 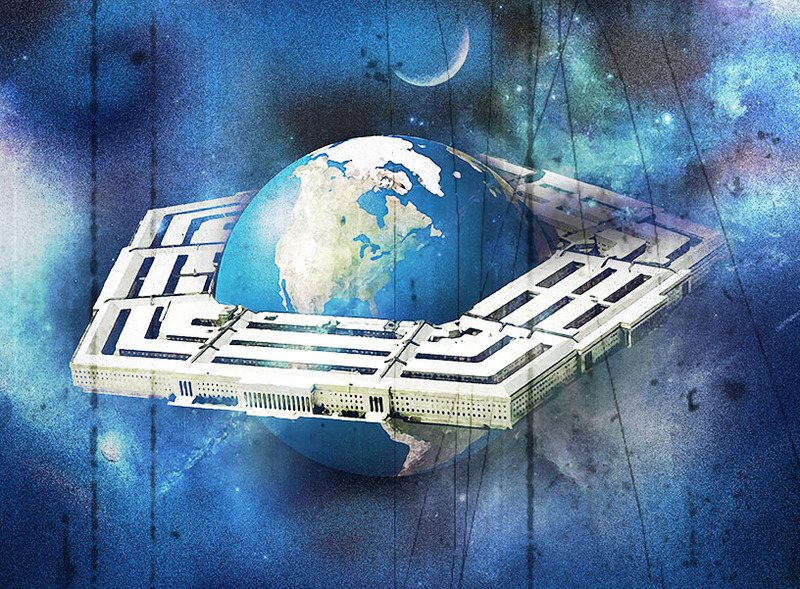 The Pentagon's exemption was a terrible legacy from the Kyoto Protocol which extended the 1992 UN Framework Convention on Climate Change but did not stop temperature rise or climate chaos unfolding around the planet. DEREK MATTHEWS: Well, the U.S. military is the largest polluter in the world, and so I think it’s difficult to have an agreement, at the COP agreement, that excludes U.S. military’s pollution. AMY GOODMAN: How is it excluding? DEREK MATTHEWS: Well, they’re not tracking the amount of pollution that is emitted from the U.S. military as part of U.S. emissions. In addition, the U.S.—the military, militaries across the world help enforce extractive economies. And so, when people, local communities and frontline communities are trying to build movements to keep extractive corporations from taking the resources out of their lands, it is the military, the police and militarism, in general, that is stopping that from happening. People suffer on the frontlines of opposing corporate profiteers greedy for even more fossil fuels to burn. And failure to address carbon pollution is a death sentence for many in poor communities where drought, flooding, and megastorms destroy livelihoods and housing. Image: IndigenousRising.org from "Official Response to COP21 Agreement"
Indigenous peoples came to Paris in large numbers because they understand that the matters under consideration are a matter of life or death for human beings. Meanwhile, liberals in the U.S. congratulated themselves on a deal they characterized as "important progress" -- even though they conceded it won't get the job done. Most of them are kept busy bickering over which warmongering candidate they would support in next year's presidential elections, and vilifying the other corporate war party's candidates. It's easy to do as that party's candidates deny climate change is even occurring (or is caused by human choices) and are openly contemptuous of the rights and prospects of anyone except rich white people. But is it any safer to pretend that the Pentagon and its wars are worthy of at least half of every federal budget while decrying climate chaos -- which is driven by militarism? Where does the path of denial of the real causes of climate change lead? This year they will have a hard time finding any snow in Maine to ski on. It's December 15 and my lawn is still green. Climate change is alarming scientists who study northern New England, but my elected "representatives" are most excited about jobs building weapons of mass destruction for the Navy. Maine's senators applaud the concessions made by the workers' union at General Dynamics' Bath Iron Works shipyard in order to hold onto those Pentagon contracts. Because our collective quality of life in the U.S. depends on our full participation in global militarization -- right? I try to find out the relation ship between CO2 emission and military stuff all around the world, Like what does it cost as money and CO2 for each single day! I found something, but there is no clear statics. Hope you can help me more. People do not know about this stuff, I think If we just stop producing guns and bullets also stop fighting with each other, the Global warming will stop asap. Hope to make a good out come, I just do this because I curious about global warming. Hi Raahaa, Thanks for your work on global warming and the connection with militarism. There are no clear statistics by design, I think, because the military-industrial complex has control of the U.S. Congress and President and they make sure such things as military carbon pollution are not counted. Several people have done the work of making an educated guess, though. Propaganda in our day works to make sure that ordinary citizens do not connect the dots between these two aspects of modern life; I am glad to hear you speaking up about it!